Heather Linn is a metaphysical healer and works with the whole energy system to bring it into balance and restore optimal energy flow. The metaphysical approach addresses the energetic, emotional and spiritual issues underlying illness or crisis and, over time, provides a pathway to deep healing and transformation. Sessions include a reading of the energy system and hands-on healing to balance chakras, clear blockages and repair cell damage. In some cases, recalibrating the energy system may include releasing trauma, untangling cord attachments, releasing spirit attachments and clearing past life residue. 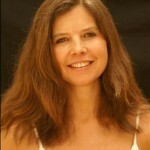 Heather also works psychically to channel relevant information and provide practical tools for personal transformation. A treatment process with Heather Linn would involve an initial consultation to establish the core issues, to clear blockages and to balance the energy system. For those clients wishing to enter into a deeper healing process, a series of 6 – 10 sessions is recommended to effect a profound shift. Each session is an hour, and costs R320. Discounted rates are available for packages of four sessions.